It is actually thirty years since the Troy brothers, Chris, bass/vocals, and Tino, guitars/vocals,debuted with PRAYING MANTIS and the classic LP “Time Tells No Lies”. Members have come and gone, some with IRON MAIDEN pedigree. Today the band consists of Chris and Tino, plus guitarist Andy Burgess, drummer Benjy Reid and vocalist Mike Freeland. This line-up has chosen five classiscs to be re-recorded for this EP. This disc will only be available via their home page, ITunes and at gigs like the forthcoming one at the Zaragon in Jönköping, Sweden, on May 7, 2011. “Children of the Earth” has the rocking sound of old, but with added modern production and AOR according to the bands inclination. Their self-titled track has an unmistaken gentle NWOBHM touch. The lyrics have Sci-Fi tinges, as was popular years ago. The sing-along “Lovers to the Grave” is soft, keyboard-laden and, to me, typical of the band. What makes PRAYING MANTIS stand out from the crowd has always puzzled me – but I can only believe it to be something Greek, a touch of Theodorakis. Guitar patterns in the style of IRON MAIDEN is of cause included too, don´t forget that PRAYING MANTIS also did a “Soundhouse Tapes” session. The sometimes remaining sound of the seventies is mostly audible in “Panic in the Streets”, but the difference is the guitar work of the NWOBHM. Last one out is the old “Metal for Muthas” compilation track “Captured City”. The lyrics, the guitar work, the keyboards, everything works out. 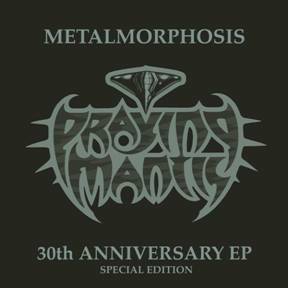 With tracks like these I´d be happy to see another thirty years with PRAYING MANTIS!